Over the years our experience manufacturing fencing and gates has given us some valuable experience which we’re happy to share with our customers. Our helpful team is always on hand to offer expert advice where required. 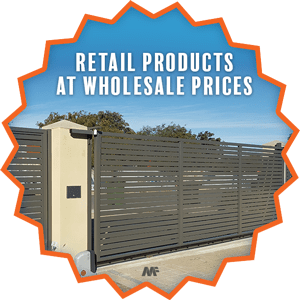 We like to think of ourselves as the one stop shop for fencing and gates, providing all kinds of metal fencing, gates, fabrication, powder coating, and accessories for fencing and gates. We also provide custom made products and have our own fabrication team who work to turn metal into designs of your choice. We could help you transform your design ideas into aesthetic, robust, fencing and gates, in colours of your choice. Our returning customers tell us it is our high quality and competitive pricing, combined with our reliable and efficient services that keeps them coming back for more. Get in touch with us today for a free quote, to know more about our products and services, or even for some expert advice on fencing and gates. Strong, attractive and easy to install, Colour Boundary Fencing offers excellent privacy and security for homes and commercial premises. Innovative and easy to maintain, Metwood combines the good looks of wood with the toughness and low maintenance of metal. Pool fencing that ensures safety and security while keeping your pool looking good. Security fencing that ensures safety and security while keeping your premises looking good. Manufactured to a range of sizes and dimensions we provide Infill fencing panels in a range of colours to work with your home or building. We make custom gates in a range of designs, from the traditional to the creative, to complement your fencing and building. We offer automation installation for electrically activated automatic sliding gates and accessories for installation of the automated gates. We fabricate a range of metal products made of high quality material and to high standards. Our in-house powder coating team is probably the quickest across Perth and the surrounding region, power coating our products with skill and to high standards. Welcome to Metric Fencing formerly known as Machine Man Fencing. We are a family owned and managed local business here in Perth Western Australia. We are experienced providers of high quality fencing, gates and accessories for Perth and the surrounding region. With a modern manufacturing facility right here in Perth, efficient machinery, and expert staff, we offer high quality metal fencing and gates at factory prices. Our designs span from the traditional to the creative, and have transformed and enhanced the look of places they are installed in. We have an in-house powder coating facility so you can have fencing and gates in colours of your choice. Thousands of our fencing and gates have been successfully supplied and installed in residential, commercial and government premises across Perth, and throughout Western Australia. 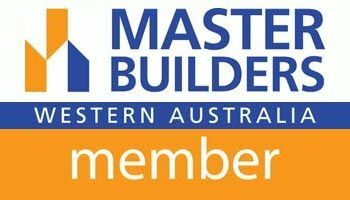 We’re proud to be one of the first Australian fencing manufacturers businesses to mass produce sliding gate rails in Australia, manufacturing them right here in Perth. We are among the leading fencing suppliers in Perth. Why Metric Fencing and Gates? We work with quality material and to high standards, so you get products of high quality. We are keen on quality and careful with where we source our material from. We pride ourselves on delivering on our commitments and on time. We’re quick to respond and work efficiently to deliver quick turnaround times. We provide our customers the best customer service we possibly can. We are happy to share our experience and knowledge with our customers, offering expert advice to help make better informed choices. Our products and services are competitively priced, we offer factory pricing. We are a family owned local business here in Perth Western Australia.